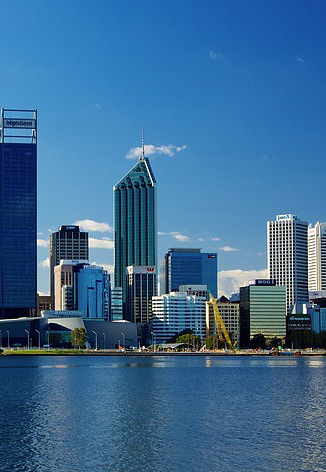 Welcome to Perth, the fast growing capital of Western Australia and great family destination with its mix of top beautiful parks, stunning beaches and open roads leading to rolling countryside filled with awe-inspiring natural beauty. When you’re travelling with the family or in a large group, a good quality car is the key to unlocking the best surprises that our unique city has to offer. We’ve got the best family vehicles at amazing prices with a super fast booking system and no damage excesses to get you on road in no time. Seating up to 8 people, our fleet of Toyota Tarago have got you covered. As the leading provider of 8 seater car rental in Perth, we’re located a hop, skip, and a jump from the glitz and glamour of the Crown Hotel, Perth. We’re also en-route from the Domestic and International Airports, so you can even get your 8 Seat Tarago and pick up from the airport terminal you fly into. Why are we the best family car option? Burswood Car Rental’s mission is to get you behind the wheel of a top quality 8 seater quickly and easily. With great value for money and friendly service locked in with every transaction, we even offer no damage excesses so that you can enjoy your holiday with your family, worry free. We have recognised the need for large groups or families to travel together. That’s why we have significantly increased our 8 seater/people mover range. After 30 years we have realised people want quality that’s why we offer new 2015 Toyota Taragos. All vehicles are perfect to fit up to 8 people and luggage. They are great on the highway and offer many extra features, with plenty of room to stretch your legs! Travelling with a group should be straightforward, but many other car rental companies make things difficult with hidden fees, haphazard service and tricks like giving you a different car to the one you’ve chosen and booked. At Burswood Car Rentals the car you book is the car you drive. Our superbly maintained fleet and 30 years of experience allows us to offer a wide range of vehicles and supply them to the exact demands of our customers. And once you drive away, you have our Roadside Assistance (optional). It’s all part of our dedication to providing the best service in Australia. At Burswood Car Rentals we proudly offer the most affordable deals for Tarago hire in Perth to all our national and international visitors. Whether you need a minivan to move the kids and relatives around in, the extra space to cruise along the coast, or are travelling with a few extra bags, our people movers are easy to find, easy to book and easy on the wallet. Whether it’s personal or corporate car hire, booking a car with Burswood Car Rentals is easy. Our website’s booking portal lets you select the dates you need the vehicle for and set the location you wish to pick it up – from our depot at Burswood to any of the airport terminals. The next step is to choose the model of car you want. We have everything from Toyota Tarago’s, to 4 door Hyundai i20s and Elantras and even scooters. Our cars are great on the highway and offer many extra features. Our vehicles are superbly maintained to enable your travelling party to relax in a modern clean vehicle. So gather your friends or family hire a people mover from us and see the sights of the beautiful state of Western Australia.